9570 Route 5, Ripley, NY.| MLS# R1176317 | Chautauqua Lake Real Estate Services. Informed, Professional Real Estate Information Serving Buyers and Sellers Interested in Lake Chautauqua Real Estate and Chautauqua County NY Real Estate. Rick and Julia McMahon Real Estate Advantage Since 1992. 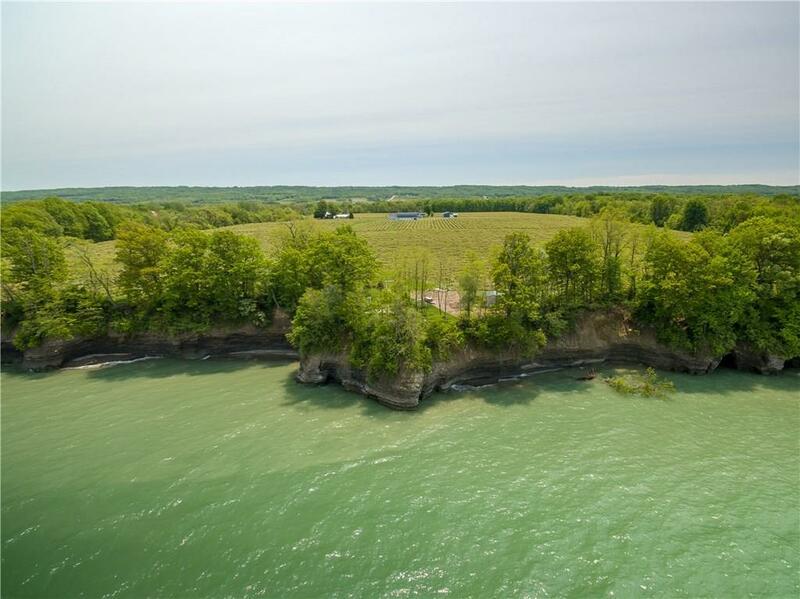 "Exceptional-1 of a Kind"25.5 acre property with 19.5 acres of vineyards with Welch Foods Contracts and 650 feet of tree lined lakefront. 2 story building is ready for completion as a winery/brewery/distillery/restaurant. Has 4800 sq. feet of space/seating for at least 135 patrons for weddings and social events. Unique exposed 2nd floor "barrel" natural timber ceiling in main dining area overlooking the lake. At the lake, there is a unique 1500 sq. foot pavilion for spectacular sunset weddings. Great spot to open a business as it is situated on the Chautauqua County Wine Trail with includes over 21 wine businesses. The property is bordered by woods, vineyards, lake and highway.